Henna Vitaxis a Sagittarius, born December 21st, 2011 is a beautiful soild black import. She is trained in protection work, but yet good with people and other animals. She has the ability to smell a rat a mile away. Nothing get past her. She keeps a close eye on what is going on around her. Has great prey and defensive drive. Excellent protection & family pet. layla Vom Haus Frost a Leo,born August 3rd,2012 is a average sized female with an amazing personality and a love for her owner that is one of a kind! She is a great everyday companion that will bark when needed at strangers but never would bite out of fear or if unneeded. She is a Norbo Ben-Ju grand daughter and of very well lines! At a young age she was considered for sport work but ended up being used for breeding due to her well lines and police kennels in her lines! She throws nice stocky pups with great attitudes! Face Von Venusmond, a Capricorn, born December 24, 2007. 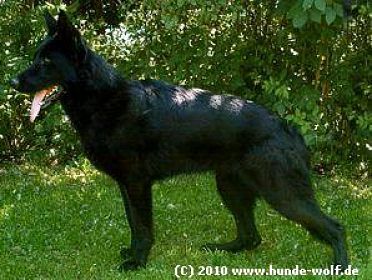 She is a beautiful blk/red Import from Germany. She has great conformation with A stamped hips. Her looks match her temperment. Face is an all around great dog. Isis Z Diehlomov, a Leo, born August 18, 2006. 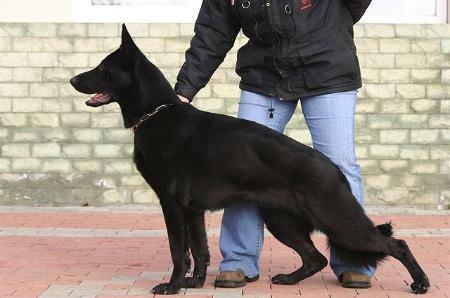 Her blk/tan sable markings are stunning,resembling a wolf. Her prey and defensive drive is over the top. She has extreme speed along with being very agile. She is trained in protection work. Videos available upon request. 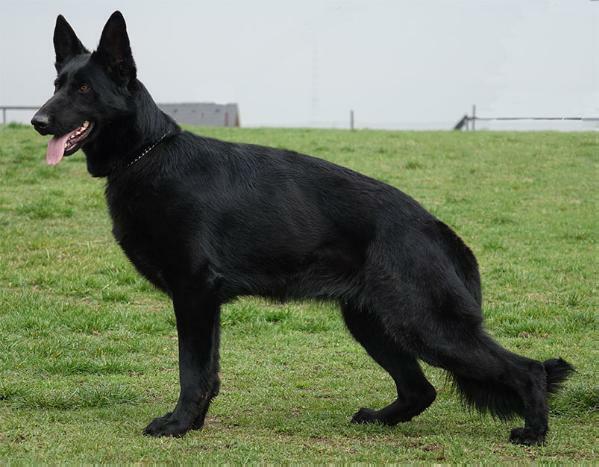 Blanka Z Gemera, a Capricorn born January 5, 2006, is a beautiful solid black Import. She is a lean 85lbs,with A stamped hips. She is very strong and powerful. 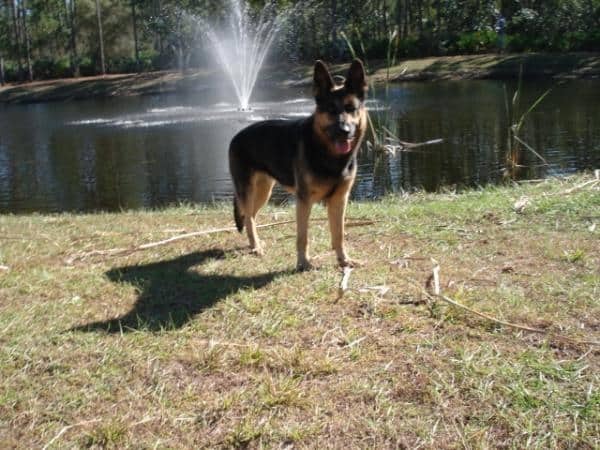 Blanka is trained in protection & is a certified service dog. Excellent temperament and great nerves. Cassie Vom Wustefeuer, an Aquarius born February 17,2006, is an exceptional female. She is a police dog, dual trained in protection & drug search. 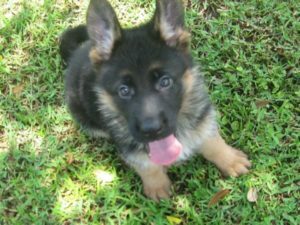 She has very solid nerves & an excellent temperament, being a result of her pedigree coming from Pohranical Straze lines. She has great structure & a large head for a female. Cassie has a good on/off switch. She is good with children, but can smell a rat a mile away, and will protect instantly without hesitation. 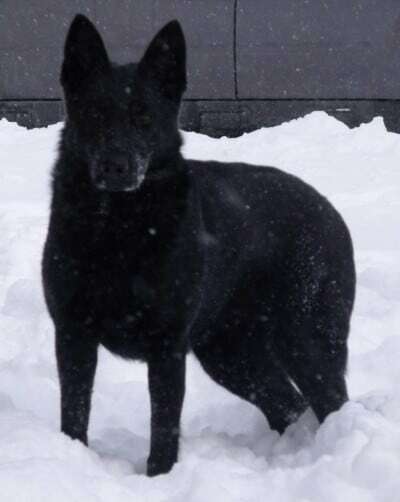 Zinda Vom Salztalblick, a Capricorn, born January 1st, 2009, a grandaughter of 4X BSP,LGA-SIEGER,BUNDES-FCI SIEGER G Uruk vom Schwarzen Milan. Very impressive working line pedigree from German Salztalblick lines. 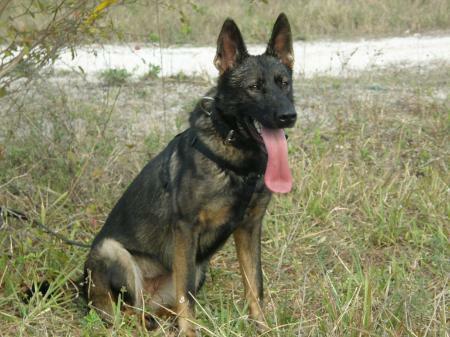 Zinda came from a police kennel in Germany. 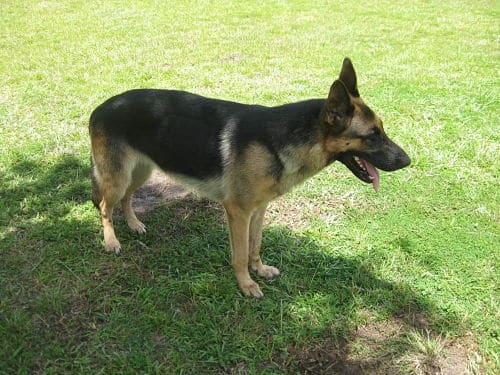 Zinda is a beautiful solid black female with great structure. Very protective with great temperament and solid nerves. Emera Vom Meadow, a Pisces born March 18th 2010, a daughter of Blanka Z Gemera(Dam) & Opus z Agiru Bohemia(Sire). 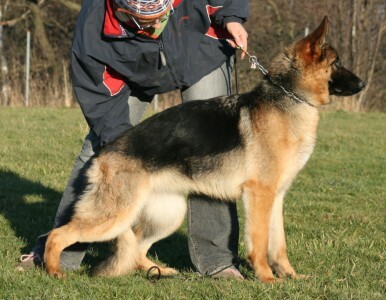 Both parents are Imports with excellent hip ratings(A Stamp)and exceptional work and show lines. Emmera hips rate OFA(Good). Emmera has a great Temperment. She is fearless and protective, but also gentle and loving to those she knows.